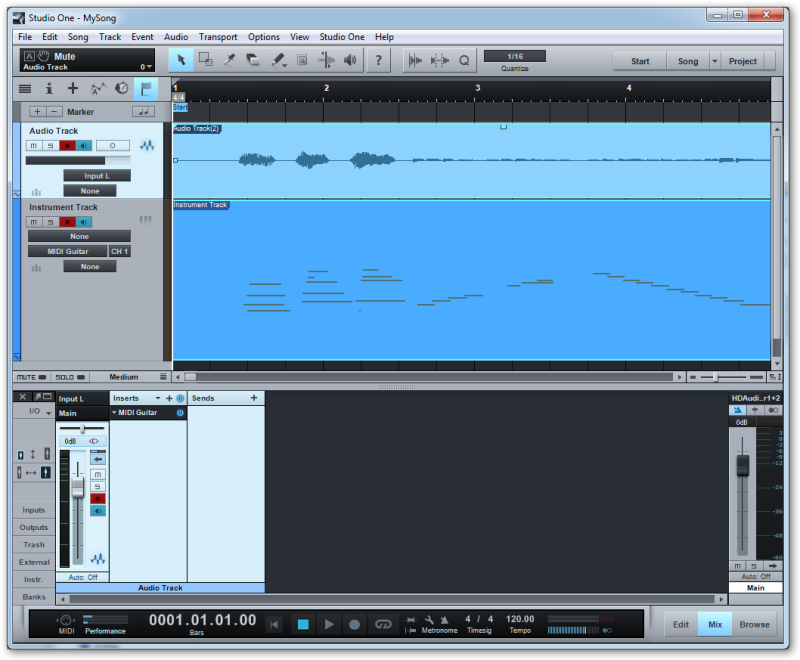 The desktop version of MIDI Guitar comes with VST and AudioUnit plugins which plugs into most DAWs (digital audio workstations). This integrates your guitar seamlessly into your MIDI workflow. The DAW is needed for recording the output of MIDI Guitar but also let’s you process old guitar recordings and change the instrumentation/sound of old recordings on the fly. Where are the MIDI Guitar plugins? They are with the latest version of MIDI Guitar, which is currently only available to customers. If you purchased the desktop version of MIDI Guitar, please launch the MIDI Guitar application. Upon startup you will be notified about an update which contains the plugins. When you’ve downloaded the latest version, please see installation instructions below. In case of problems: Please run the latest public demo version on an online computer to get the update notification and the latest update with plugins. How to install the MIDI Guitar VST/AU plugin? However, some DAWs use another VSTs folder. Sonar and Mixcraft for example use c:/Program files/Cakewalk/VstPlugins for 64-bit plugins and c:/Program files (x86)/Cakewalk/VstPlugins for 32-bit plugins. Most DAWs allow you to set your VST or plugin folder. You may have to add the VST folder above to the list in which your DAW search for plugins inside your DAWs preferences window. Open the DMG installer image find the two plugins: MIDI Guitar 2.vst and MIDI Guitar 2.component. If you cant find these folders, open Finder and hold “cmd” and “shift” keys and press “G”. Now copy the above path into the dialog that pops up. In order for your DAW to discover the new MIDI Guitar plugins you sometimes need to make it rescan your plugins folder for plugins or restart the Mac. After copying the VST/AU to your plugin folders, MIDI Guitar should work with almost any DAW. Since DAWs are usually complex applications with lots of options, we try to keep a list of tutorials and videos for setting up a DAW project with MIDI Guitar. Please locate your DAW below. 2) Hit “rescan” with the “alt” key pressed. This will force Live to evaluate all plugins. Here is another video that shows the basics of using MIDI Guitar as a plugin in Ableton Live 9, but is also slightly misleading. Please see the comment below. In this video, the MIDI Guitar 2 AudioUnit is loaded and it outputs MIDI with the V-MIDI option, which works, but cause a latency overhead. Please don’t use the AudioUnit with Ableton. Instead, load the MIDI Guitar 2 VST plugin and use the direct midi output (which is enabled by default). In your MIDI/instrument track, go to “MIDI From” and select the audio track on which the MIDI Guitar VST is loaded. Now, when recording, you get MIDI into the piano roll of that MIDI track. In Preferences / Audio, check that Audio Input Device and Audio Output Device are correct. In Preferences / File Folder, set “Use VST Plug-in System Folders” to Yes on Mac OS X and make sure the MIDI Guitar VST is found on Windows. Check menu “options”. Latency compensation should be OFF! Click “In” button on the “1 Audio track” to verify that MIDI Guitar works with your audio interface. Select “1 Audio” as “Input Type” for “2 MIDI” track to redirect MIDI from MIDI Guitar to your MIDI track. Arm recording for “2 MIDI” track to record MIDI from MIDI Guitar. Click Record and then Play to start recording MIDI from MIDI Guitar. Logic does not support routing MIDI out of AudioUnit plugins, but virtual midi works to get MIDI into Logic and is simple to setup. First, make sure you apply Logic’s low latency mode. Make sure you place the MIDI Guitar 2.component in your plugins folder (typically thats /Library/audio/plugins/Components/) as described above. Restart your computer so that Logic Pro will scan the new files you have installed. Next, open Logic Pro on your Mac and create two tracks… The first track should be an “audio track” for the audio from your guitar. On the channel fader of this “first” track, activate Midi Guitar 2 in the audio FX slot. Make sure you don’t use any other effects before MIDI Guitar (as MIDI Guitar needs a completely dry input). Now, create a second track. This new “second” track should be an “instrument track” for the “midi information” that will automatically come from the Midi Guitar 2 plugin on the first guitar track you created… These two tracks will work together! On the second track you created, do not call up Midi Guitar 2 in the channel fader slots. When you create an “instrument track” in Logic Pro, it automatically installs an instrument in a midi instrument slot… That is the instrument that will be activated and played by the midi information recorded on the track.. you can of course change it to any instrument. Instead of using the MIDI Guitar Audio Unit, you can simply run the MIDI Guitar standalone and select the MIDI Output Route: “MIDI Guitar Virtual MIDI Out”. Now “MIDI Guitar” appears in Logic as a MIDI input without any additional work. That’s it. It’s just there. This method will add a bit of latency compared to recommended approach described above. 1. 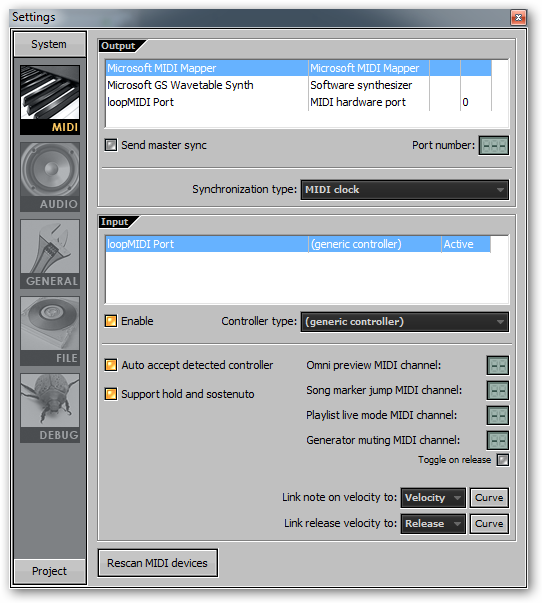 If you are using Windows you need a virtual midi loop driver, such as loopMidi or loopBe1 (both freeware). Mac users can skip this step as Apple operating systems already include a virtual midi standard. 2. Make sure MIDI Guitar works in standalone mode, i.e. you can play the Test Piano. 3. In MIDI Guitar select the virtual midi loop driver as MIDI Output (bottom left). On Windows that is a loopMidi/loopBe1 device. On Mac its the “MIDI Guitar Virtual MIDI Out”. 4. In ProTools, enable the same device as input. (Setup > MIDI >Input Devices > Check the box next to the MIDI Guitar loop output). 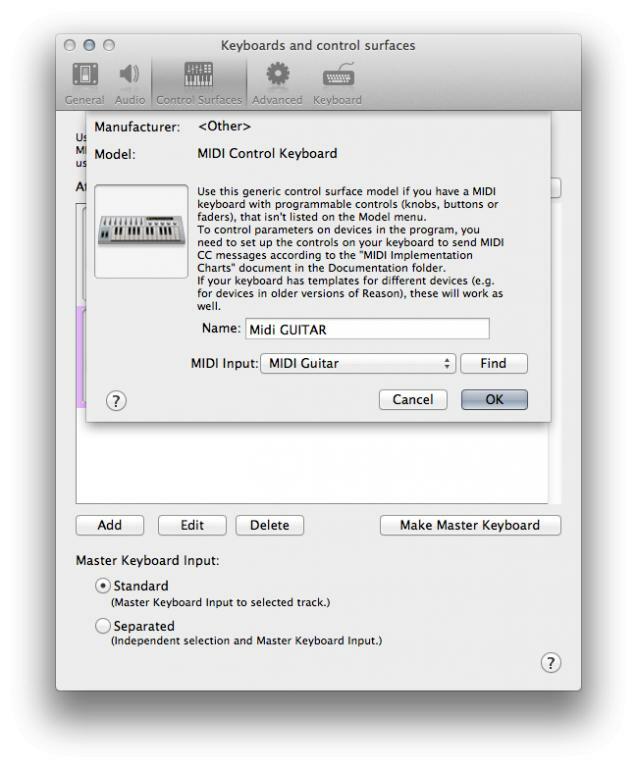 Mac users just select the built in “MIDI Guitar Virtual MIDI Out”. 5. Thats it. Your guitar is now connected to ProTools, just like a midi keyboard. Note that virtual midi is not ideal in terms of latency, although usually the impact is unnoticeable. We will consider an AAX plugin in the future. Note for Windows users: Since most ASIO drivers only works with one application at a time you might also need a second interface. As an alternative to the above, you can use the BlueCat VST wrapper works with MIDI Guitar, and it does now forward MIDI! 1. Use Blue Cat audio MB& in broadband mode with MIDI Guitar as the only plugin inserted. 2. Put any VI next in the chain. 3. My guitar is plugged into a DI into an input channel on my interface. Launch SONAR. If the plug-in is no listed in the Audio FX list, run the VST scanner. Add new audio track, set the input to a mono source (or use an existing mono track). Insert MIDI Guitar into FX bin or ProChannel. To record MIDI data from MIDI Guitar MIDI, using the VST2 drop down in the plug-in header click “Enable MIDI Output” otherwise load a synth plug-in directly into the instrument output of MIDI Guitar, enable input echo on and skip step 5. Add a new synh or change the input to an existing synth to MIDI Guitar. Make sure both the MIDI Guitar audio track and the synth (Instrument or MIDI) track have input echo enabled. In older versions of Sonar (version X1, X2) there are issues with MIDI Guitar. The Sonar addressed these issues in version X3, but some have found a workaround for old versions Sonar that apparently works in X1 and X2. What I missed was the MIDI Guitar pop-up menu in the Synth rack. Clicking the keyboard icon with right mouse button gives a menu with no “Enable MIDI Output” option. You have to click grey area of the synth and you’ll get a different menu with the MIDI output option. Launch Sonar. It should automatically recognize the new plug-in and create needed registry entries (ie you should see the plug-in as an effect in Audio FX menu). If not, use Plug-in Manager to scan new plug-ins. Use Cakewalk Plug-in Manager, find MIDI Guitar in Effects section and open “Plug-in Properties”. Enable “Configure as synth” option. Launch Sonar. Add new audio track. Insert MIDI Guitar (now found in Soft Synths menu) to FX bin. Go to Synth rack view. Right click grey area of the MIDI Guitar synth block and click “Enable MIDI Output”. That’s it. Add your favourite synth to a new track and route MIDI input from MIDI Guitar, which should be visible in MIDI input menu. Thanks again, works like a charm now. Please deactivate/uncheck the “ASIO guard“ in Cubase audio settings!! .. is available for both windows and macos now! The internal routing allows for connecting the loaded MIDI Guitar plugin to purchased FL synths and none-FL synths. Note 1: MIDI Guitar is not made with variable buffersize in mind. The display of buffersize and cpu load are erratic. Note 2: as for now, we dont really know how well it works latency and stabilitywise. It may be so that the standalone/virtual midi is more stable, especially on macos. 1. 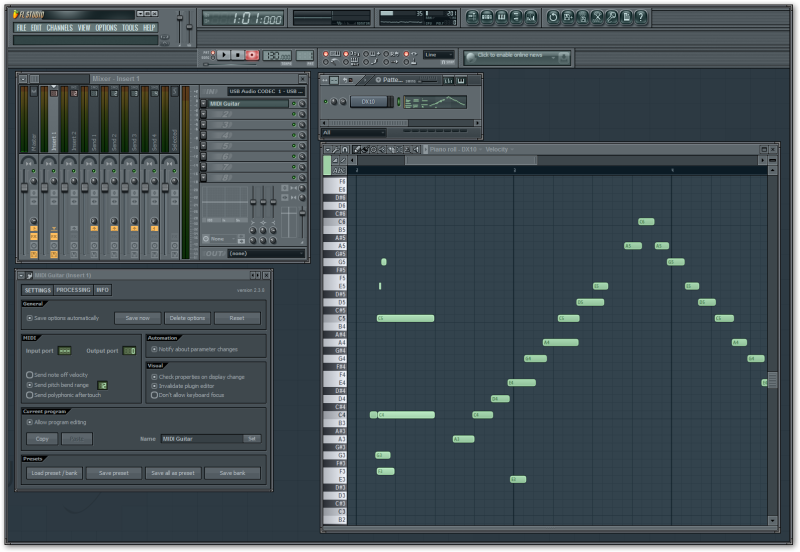 You can use the MIDI Guitar VST plugin inside FL Studio. This is optimal in terms of latency but unfortunately FL Studio does not currently support routing midi from VST plugins to its piano roll. Thus, you will be limited to hosting synths and instruments inside MIDI Guitars internal plugin host. 2. 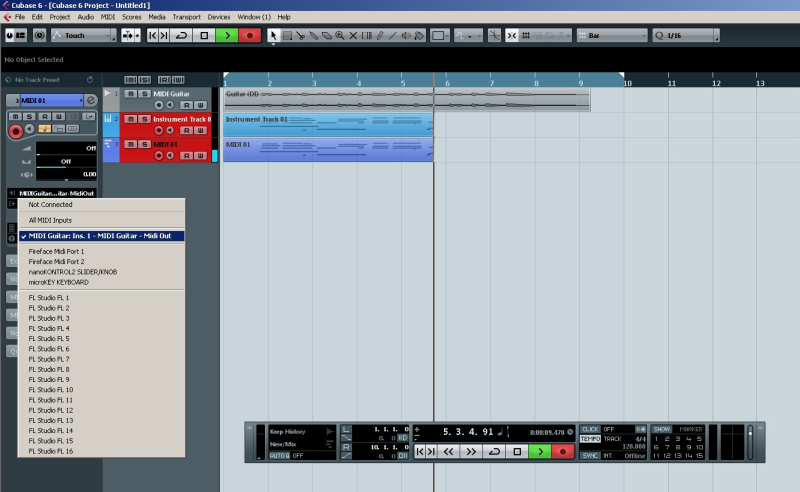 The other option is to use a virtual midi loop and the MIDI Guitar standalone. This is detailed below. Install loopMIDI. Start loopMIDI and add a MIDI port. In the Mixer add MIDI Guitar plugin to an available channel other than Master. In MIDI Guitar plugin settings set MIDI Output port to 0. In the step sequencer select and enable a synth such a DX10. In Preferences / Audio Plugins, make sure MIDI Guitar VST is enabled. In Setup / Configure Audio System / Configure Hardware Driver, check that Master Device is correct. In Setup / Configure Audio System / Input Monitoring Mode, make sure that “Monitor record-enabled tracks through effects” is selected. Select Audio Input for the Audio Track. Enable Input Monitor and Record for the audio track. Add MIDI Guitar VST to audio track. In MIDI Guitar, set Patch to “Test Piano” and strum your guitar to test MIDI Guitar. Very nice video introduction to MIDI Guitar using Samplitude by Kraznet. From Reason 9.5 on, VST plugins are supported, but the midi output from a VST is still not routed in Reason 10. From Reason 9.5 on, VST plugins are supported, but the midi output from a VST is not routed yet. We’ve notified Propellerhead of this, hopefully they add the functionality soon. You still need the use the standalone via virtual midi route now. 1. First make sure MIDI Guitar works in standalone mode. 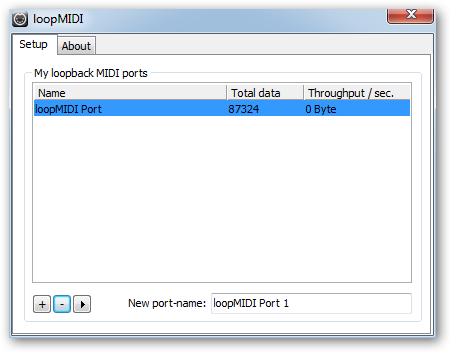 If you are using Windows you need to install a virtual midi loop driver (such as loopMidi or loopBe1, both freeware). Select the virtual midi driver as output route in MIDI Guitar. Mac users simply select the MIDI output route: “MIDI Guitar Virtual MIDI Out”. 2. In Reason you must register the virtual MIDI driver as a MIDI Control Keyboard/surface. See the image below. Note that virtual midi is not ideal in terms of latency. We do not know yet if there is has any real impact or not on latency. We will consider Reason Rack Extension in the future. turn down dropout protection under Options->Audio Setup->DropoutProtection. It cannot be set to maximum. Any other setting should be okay. This free version of Studio One does not support VST plugins. You can still use MIDI Guitar with it, using a virtual midi loop connection. On Mac its built in. 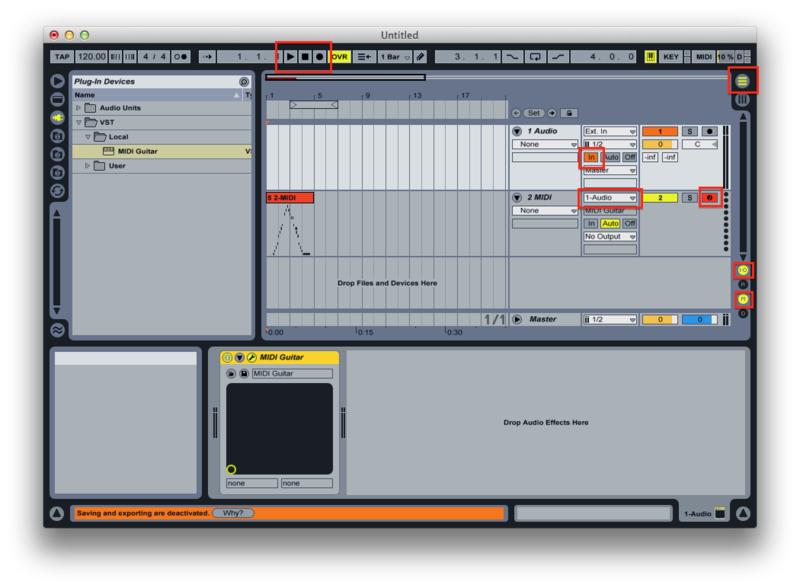 On Windows you need loopMidi (freeware). Then select the virtual device as output route in MG and input in Sutiod One Prime. This version supports VSTs with an extra add one that can be purchased from Presonus. 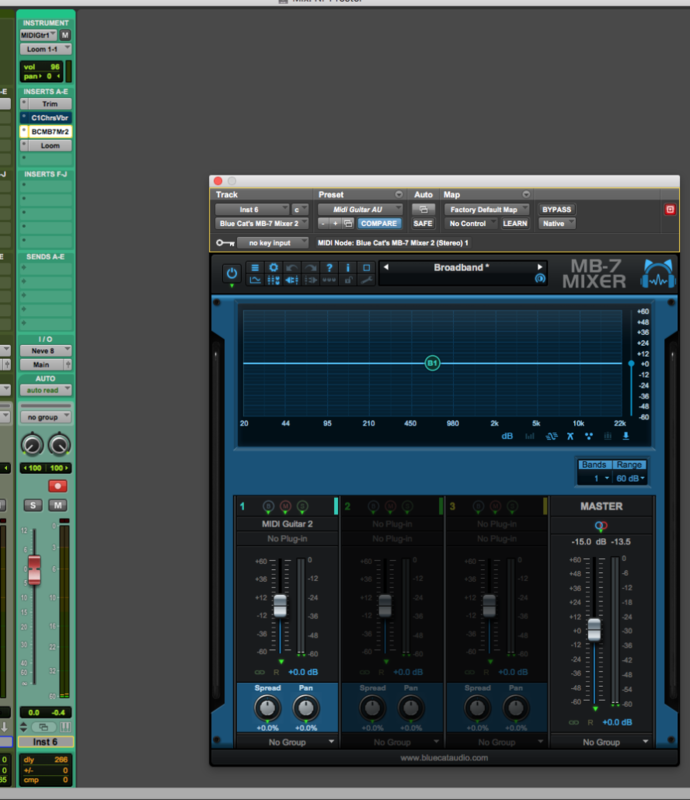 Makes sure your samplerate is set to 44.1Khz and buffersize 256 or 128 samples. Add track 1 (mono audio). Arm it for recording so you have your guitar here. Add the MIDI Guitar VST to this track. Adjust sensitivity. 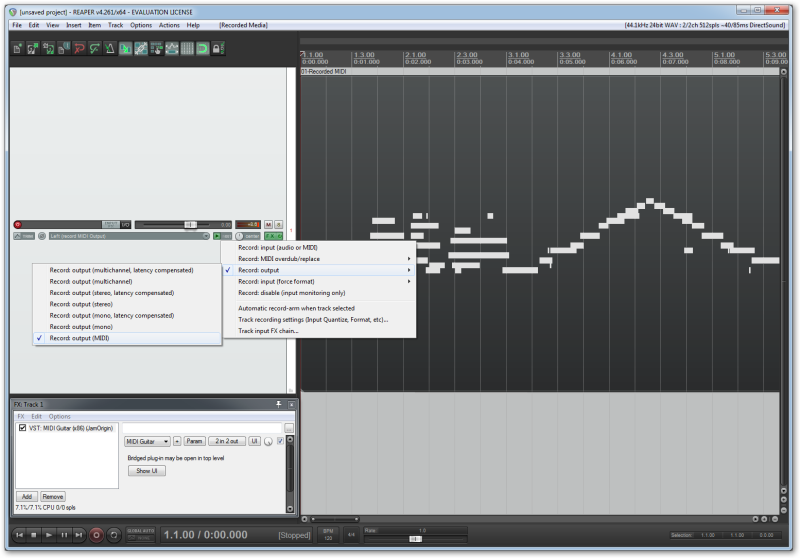 Add track 2 (instrument track). Change instrument input to “MIDI Guitar”, “CH1”. Arm it for recording so you have your guitar MIDI here. Record audio and midi by pressing record. Video introduction to MIDI Guitar using Usine by Nay-Seven. The very first thing to try is to use it in your DAW just like you would use any other audio effect (say a reverb or compressor). Intuitively most people think of MIDI Guitar as a virtual instrument (VSTi), but try to think of it as an effect first: It has an audio input (your guitar sound) and audio output (the synth or virtual instrument you load into MIDI Guitar). Used this way as an audio effect it should work with any DAW that supports VST or AudioUnit effects. After using it as an effect you will probably start to wonder how to get the MIDI output from MIDI guitar into your DAW and into its piano roll. Most DAWs have ways to route the midi output from MIDI Guitar to other places and if not you can always fall back to using the standalone version with a virtual MIDI loop. On Mac OS X, virtual MIDI is built in. On Windows you need to install a virtual midi driver, of which several options are freely available. Please see the “Connect To DAW” option in the MIDI Output section of MIDI Guitar for instructions. Please find guides for each DAW above. Its recommended you run your DAW at 44100Hz using 128 or 256 samples pr audio buffer. Its important to understand that running at too high samplerates will cause latency and unresponsive tracking. MIDI Guitar should work fine at high samplerates as well (88.2K, 96K, 192K, etc..), but it will cause additional CPU load and have no quality benefits as for MG concerned. MIDI Guitar will generally process anyting on a track in a DAW, and this can be used to process old recordings in you DAW, in the same was as it can be used on live tracks, as long as those tracks are dry guitar recordings.